The first step is to switch off the water supply to the faucet, this will prevent leakage if the water is turned on. Next, when the water supply is turned off, turn on the faucet to let any residual water drip out. The next few steps are focused on checking whether or not the stem of the faucet is the reason why it is leaking. After letting the residual water drip out of the faucet, remove the cover of the faucet and loosen the screw on the cap beneath it; the handle of the faucet should be removable by either screwing it off or snapping it off. The stem of the faucet should now be visible. If the stem looks worn, you should consider replacing it. If the stem isn’t the cause of the faucet leaking, the main suspects of the leaking are the washer and the O-ring. To stop the leakage from the washer or O-ring of the faucet, tightening can both of them is recommended; if this doesn’t work it is probably best to replace the washer or the O-ring. Both of these parts are inexpensive, so replacing them isn’t a big issue. If the washer or the O-ring seem to be in good condition, it is unlikely they are the reason for the faucet leakage. Lastly, you should check the valve seat. The valve seat should be checked if the washer was replaced or is in good condition and the faucet is still leaking. This can be done by removing the handle of the faucet by removing the screw that holds it in place. 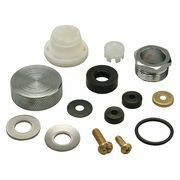 The valve is also inexpensive and its recommended to just install a new one. 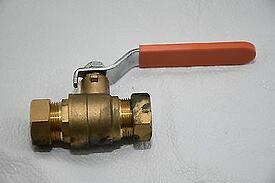 The valve can be accessed by after removing the screw of the handle that holds it in place. The valve can be removed by using water-pump pliers to loosen it then consequently removing it. If after checking the valve, washer and O-ring and the faucet is still leaking, it is best to seek professional help. You can reach Geiler at 513-574-0025 for 24/7 service of any leakage in your home; our robust team can provide a quote and general consulting over a brief phone call. Click here to see if you live in area where Geiler can serve you! Visit our Plumbing page for more information.